Constructed: 447 – 432 B.C. The Acropolis is located in the center of the city of Athens. The Acropolis of Athens is an ancient citadel located on a high rocky outcrop above the city of Athens. It contains the remnants of several ancient buildings that have great architectural and historic significance and Parthenon is the most famous temple at this site. How to get to Parthenon? 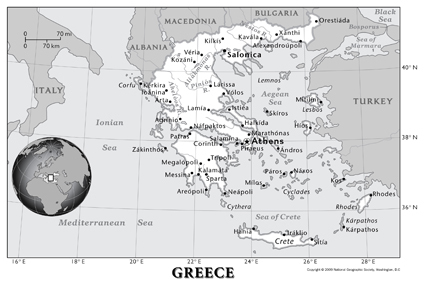 The top flight destination for Greece is Athens, Greece’s capital city, is easily accessible by air. The Athens International Airport Eleftherios Venizelos is situated about 17 miles northeast of Athens at Spata, is usually called "Venizelos" or "Spata," after its nearest town. Transportation options for getting around in Athens include metro, suburban trains, trams, trolleybuses, and buses. AVA is a boutique Hotel situated at Plaka in the middle of the Historical Centre, at the foot of the Acropolis, on a quiet street. Surrounded by the world’s most renown monuments of Greek Civilization: Parthenon, Zeus Temple, Hadrian Arch, Agora etc. AVA offers spacious Suites & Apartments with all the amenities and comfort of an upscale Hotel, plus the exclusiveness and privacy of one's own home. AVA Hotel is also in the centre of modern Athens, 5 minutes away from the Greek Parliament, National Gardens, Syntagma Square, Ermou and Kolonaki, Athens exclusive Shopping areas. The Athens Gate Hotel is located in the historic district of Athens, exactly opposite the Temple of Olympian Zeus and the Gate which was constructed by the Athenians to welcome the Roman emperor Adrianos (Hadrian). Very easy to access, the hotel is located 500 meters from the Acropolis and 100 meters from the New Acropolis Museum. The Constitution (Syntagma) Square, and the commercial center of Athens are, also, only 500 meters away. With breathtaking views of the famed Acropolis and Parthenon, regal Constitution Square and the Parliament, lush Lycabettus Hill, or the original Olympic Stadium, the Hotel Grande Bretagne offers unrivaled perspectives of Athens' mythical history. Each of the 320 guest rooms offers enchanting views of the hotel courtyard or a spellbinding panorama of the city's timeless landmarks, while the exquisite interiors pay homage to Greek culture with intricate moldings and classic decor. 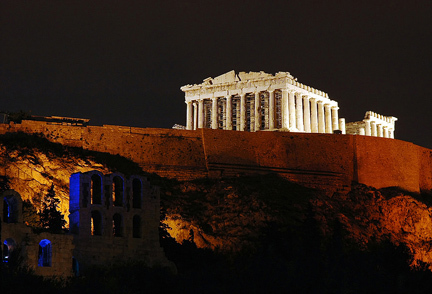 Have you already visited Parthenon or plan on visiting? Do you have an interesting Parthenon travel story? We would love to hear about your Parthenon travel experiences, your reviews of hotels, restaurants, or tours, your top travel tips and any recommendations...anything about the Parthenon travel that you can share with us. For every story that is sent in, we create a unique web page for it, where other visitors can add their comments and the rating. From the Acropolis to Omonia Square, you'll see all the famous sites of ancient and modern Athens on this comprehensive morning tour. Offering a perfect overview of the modern city, this guided tour will help you get your bearings if this is your first visit to Athens. One for all you History buffs - discover Athens' Ancient history on this fascinating city walking tour with your local guide. Venture inside the ancient Acropolis and admire just how this ancient monument towers above the city below. You'll also see such sites as the House of Parliament and the Plaka as you soak up the local scene. Discover Athen's Ancient history on this fascinating three-hour Private walking tour. No trip to Athens is complete without a visit to the ancient Acropolis. See this monumental structure that towers above the city below. You will also see such sites as the House of Parliament and the Plaka.